currently under construction at 1118 White Knoll Drive, Los Angeles. The development is scheduled for completion in 2019. Mar View has a total of 13 units. Sizes range from 2100 to 2500 square feet. 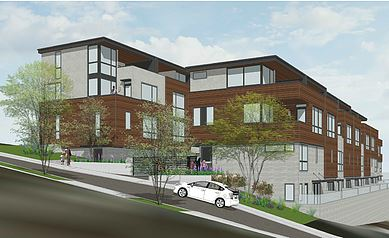 This development project is located in the neighborhood of Echo Park. Just West of Downtown Los Angeles and North of the 101 freeway, the planned community will boast beautiful near 360 degree views of the downtown skyline, Dodger Stadium, Santa Monica, Griffith Observatory and more. There are currently 17, 3-4 bedroom single family homes varying from 2,100 - 2,500 square feet planned. The project is expected to be completed by mid 2019. Your inquiry will be delivered to the developer / builder of Mar View, who will send you more information about this development.